On April 27, 2014, the Catholic Church celebrated the Canonization of two new Saints: John XXIII and John Paul II. This celebration also marked the Canonization of one of our two patrons, Angelo Giuseppe Roncalli (John XXIII). Former Pastor, Fr. 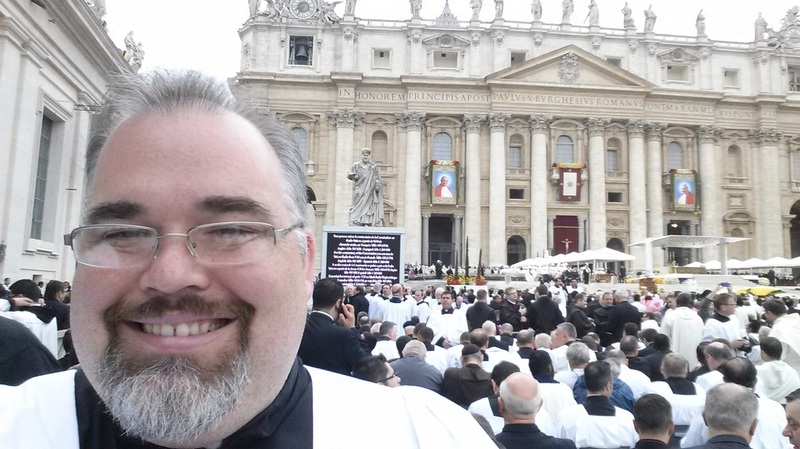 James Kurzynski, and two parishioners, Greg Wegner and Dewey Bjorkman, had the privilege of spending a week in Rome to represent Roncalli Newman at this historic event.